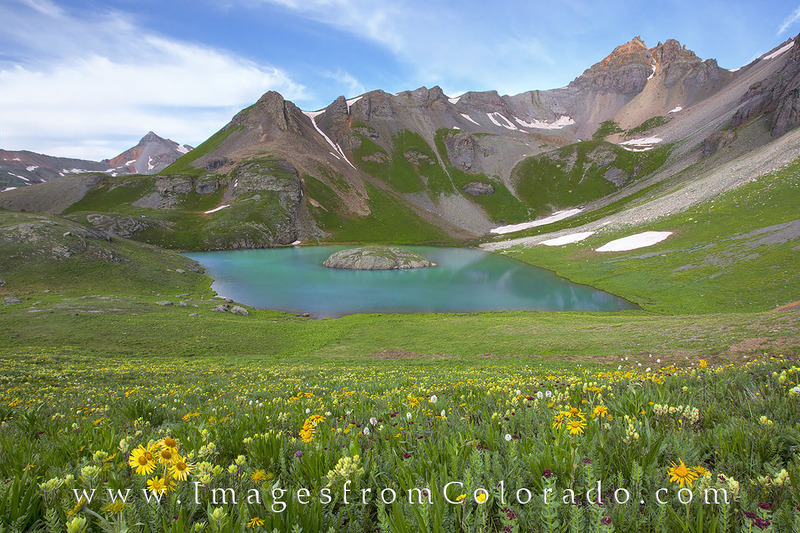 Golden Colorado wildflowers fill the grassy slopes near Island Lake. Nested in a cirque and surrounded by the peaks of several 13,000’ mountains, the turquoise water looks inviting (It was quite cold!). The trail up to this lake travels by Lower and Upper Ice Lakes, through meadows of wildflowers, including lupine, columbine, and Indian paintbrush. With a 2,800 foot gain in elevation, a little grunt-work is required, as well, especially at the end of the hike. Photo © copyright by Rob Greebon.